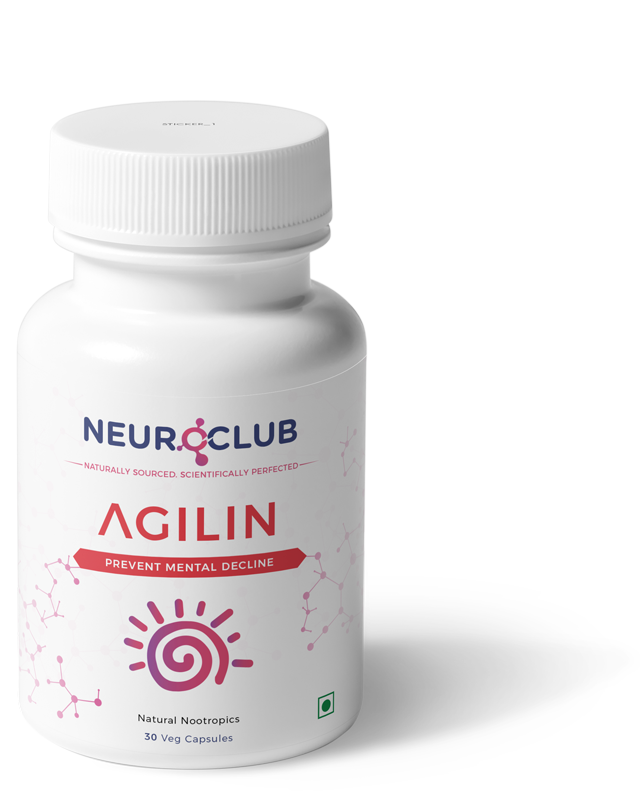 Agilin is neuroprotective against plaques that accumulate inside neurons with age, thereby increasing the immunity of the brain and the nervous system. As we age the immunity of our body and brain reduces. The normal food that we have doesn’t necessarily have the bioactives that can help protect our brain from unwanted cells that comes with older age and lower immunity. The bioactives in Agilin have been shown to fight against these kind of cells. 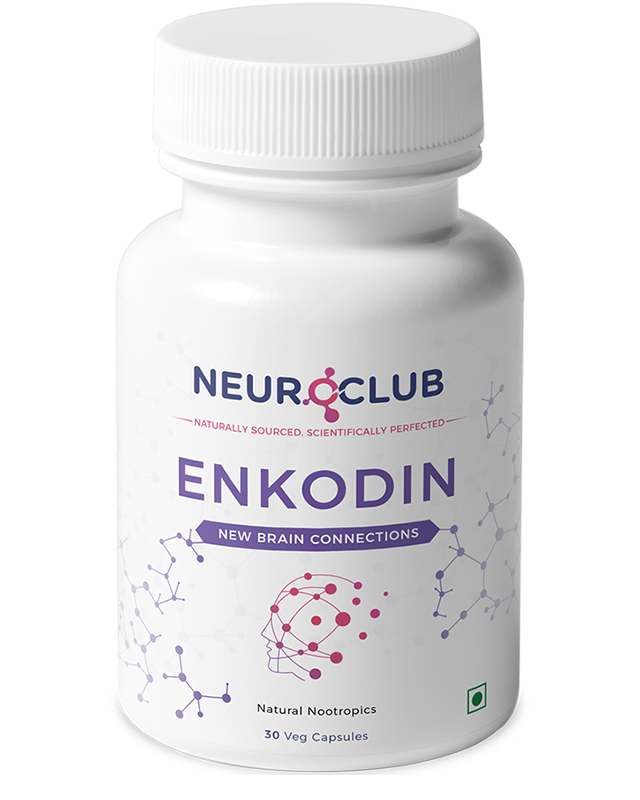 Prevention of neurodegeneration that results in diseases like Alzheimer’s, Parkinson’s and dementia. Take one capsule per day. Agilin is a 100% natural product, and there are no known side effects if taken as directed. Buy any two below and get them for ₹350 ₹315 each. Buy any three and get them for ₹315 ₹300 each. This product is for anyone who is 55+. After that age there is a very high chance that our immunity, including that of our brain starts getting weaker and weaker. As a result our brain is more vulnerable to bad proteins and enzymes that can start affecting our memory and motor coordination. Taking one Agilin everyday significantly helps reduce the effects of these unwanted proteins. 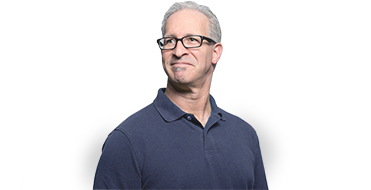 If I am over 50+ and am beginning to notice lapses in memory what should I take? Specifically for those lapses in memory you should start taking Xance. 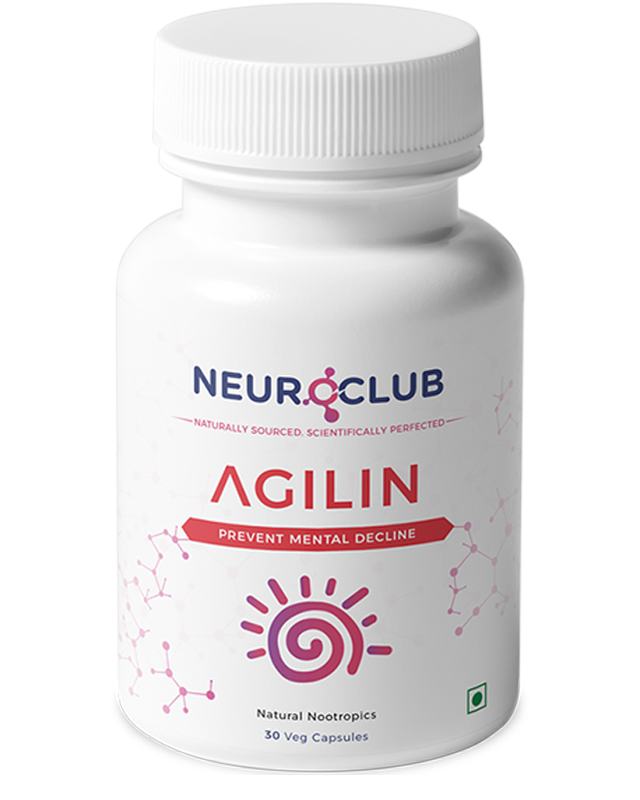 Additionally, Agilin should be taken so that you don’t have memory losses due to neural degeneration and diseases, which are quite common as we age. Those are almost impossible to treat after they have started to spread in the brain. Especially with these problems prevention is the only real cure, as of now. What is the difference between this and Xance? Agilin is focused on preserving the brain and helping prevent neurodegenration that leads to memory loss. 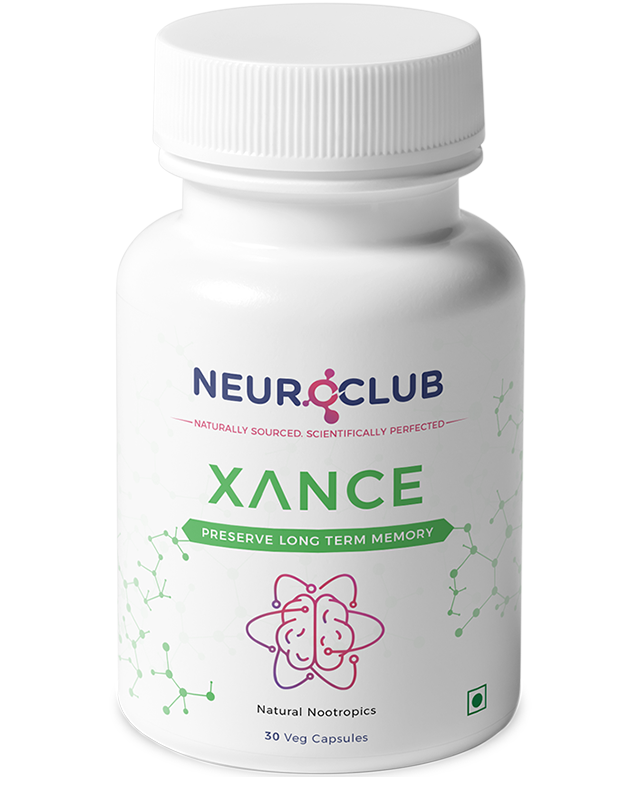 Xance directly supports the memory process by increasing the availability of BDNF protein. 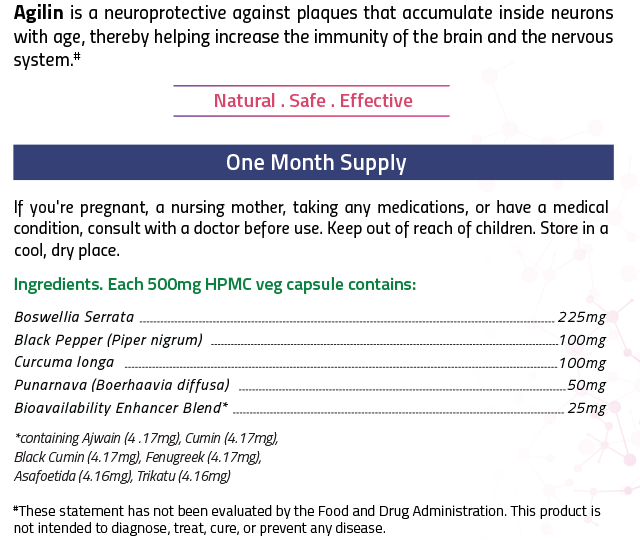 Copyright © 2018 Astroglia Pharma Private Limited. All Rights Reserved.